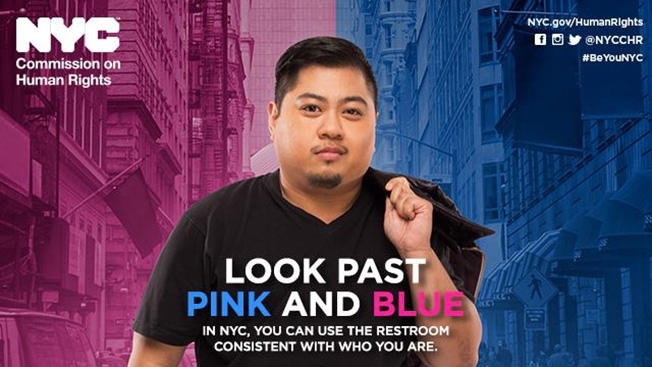 New York City is setting itself apart on the deeply contentious — and very silly — issue of which bathrooms transgender people should be allowed to use. 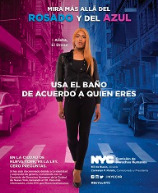 In June, the city&apos;s Commission on Human Rights used a relatively paltry $265,000 to launch a pioneering ad campaign called #BeYouNYC, which encourages residents to use bathrooms that correspond to their gender identity. The whole thing brings home the message that transgender people shouldn&apos;t be criminalized for being human. 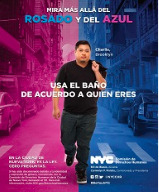 "We are ordinary people, living ordinary lives," one ad says. Take that, North Carolina Governor Pat McCrory. • North Carolina Amends HB2 "Bathroom Law"